This is a research study conducted by the University of Pittsburgh. The purpose of this study is to explore the feasibility and acceptability of a 6-week high intensity interval training (HIIT) program for wheelchair users with spinal cord injury/dysfunction and low fitness. 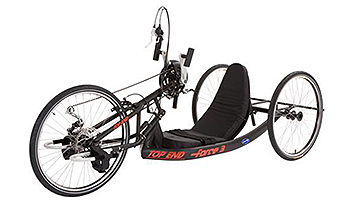 This study involves six weeks of HIIT exercise using a handcycle or ergometer. This study will require two visits to the University of Pittsburgh Metabolism and Endocrinology Research Lab and three in-home training sessions per week. During the lab visits, you will complete maximal exercise testing and power output testing. You may be compensated up to $200 for your time.